There can be many reasons to look for support in dealing with the ups and downs of life. I provide a safe, non-judgemental and confidential counselling space so that you have a place to bring your feelings and problems and where you can be heard. Together we can explore your past experiences to better understand how these may be impacting your current patterns of behaviours. 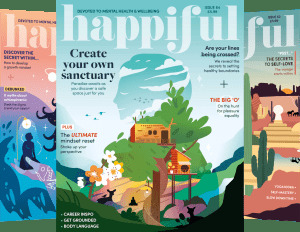 Exploring underlying issues which may be contributing to how you're feeling can help you to re-discover what makes you happy and what gives your life meaning. I provide counselling in East Finchley. I offer both short-term and open-ended counselling. I hold a Diploma in Psychodynamic Counselling, which is accredited by the British Association for Counselling and Psychotherapy (BACP). I am a registered member of the BACP, and I fully comply with the professional standards and ethics set out in the BACP Ethical Framework. I also hold a Masters degree in Psychology. Alongside my counselling practice in East Finchley, I provide counselling at a counselling centre in North London. I am a member of a student counselling service at an adult education college in central London. I have worked with people who have experienced issues such as anxiety, depression, relationship difficulties, sexual abuse, long-term physical health conditions, bereavement, eating difficulties, self-harm, and suicidal thoughts and feelings. Each session lasts 50 minutes and my fee is £60 per session. Some concessionary rates are available for those on a low income.